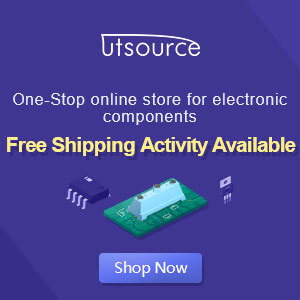 The meaning STR in this article for example is a Sanken regulator series and Fairchild series STR-F/G/W KA05Q Is an ic Quasy Resonant Flyback (QRF) Swiching Regulator comprising (a) control IC and (b) power MOSFETs that are packed into a single unit. The regulator is designed so that only requires a few external components. Regulators will start working when the voltage Vcc start-up on pin-4 reaches 16V. Once the power supply voltage Vcc further work will be reimbursed through a switching transformer supplied from a diode rectifier. At the time the circuit was working when the voltage Vcc is less than 15V, the regulator controls will still work. regulator will stop working (protectionism) if the supply voltage Vcc drops to less than 11V. PWM regulators work using the system, wherein the output voltage B + to stable controlled by the feedback circuit of the output voltage B + >>> >>> photo-coupler pin-1. A capacitor mounted on the pin-1 is used to prevent noise disturbance if anyone does not interfere with the working system. When the power is turned on first, then the circuit has not been working behind the Uman because there is no output voltage B +. This causes a heavy current on the MOSFET start. To prevent this, the regulator is equipped with soft start circuit internally and an external filter kapasitr. Regulators are equipped with all sorts protector. 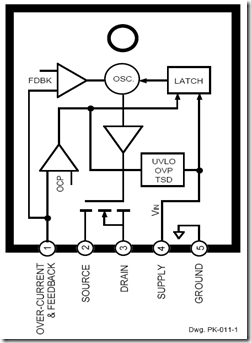 Over-current protector (OCP) or Over Load protector (OLP). For example, if there is damage to flyback or def yoke, it will cause the load voltage B + over. If there is such a case the regulator will die protectionism so that IC is not damaged. For over current sensor is a resistor with a small value that is placed on pin-2 to the ground. Short protector. If the output voltage B + short, the regulator turns off protectionism. Over-voltage protectors (OVP). Regulators are not equipped with a surge protector so if the feedback path disconnected can cause the output voltage of the transformer switching regulator power up or damaged .. With OVP protectionist regulator will die if the voltage supply Vcc pin-4 rise above 22.5v. Thermal protector. Regulators will stop working if the temperature reaches 140 degrees Celsius.